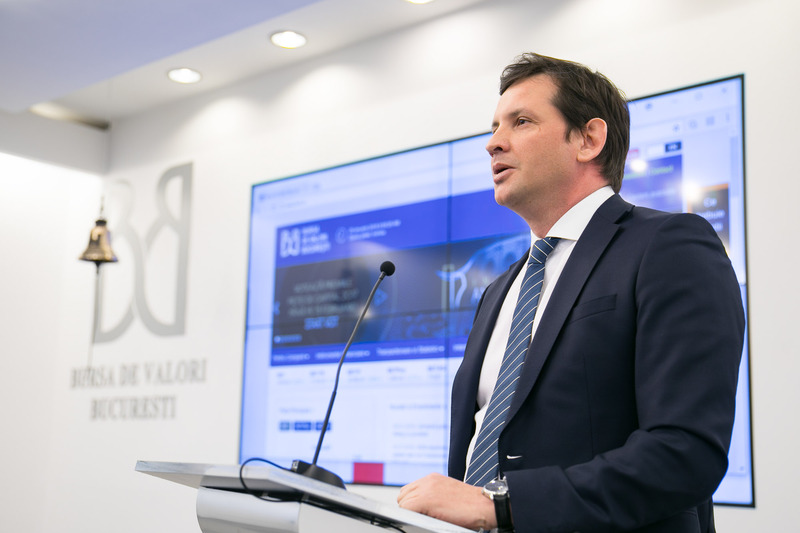 Adrian Tanase BVB CEO The main goal of my term is to make the stock exchange reach its maximum potential in terms of turnover Bucharest Stock Exchange. The Stock Exchange is for the people! "The main goal of my term is to make the stock exchange reach its maximum potential in terms of turnover, and this can come from three directions"
"Promoting to the Emerging Market status will be a consequence of all these measures to increase turnover"
"The stock exchange is being advertised as a financing option. 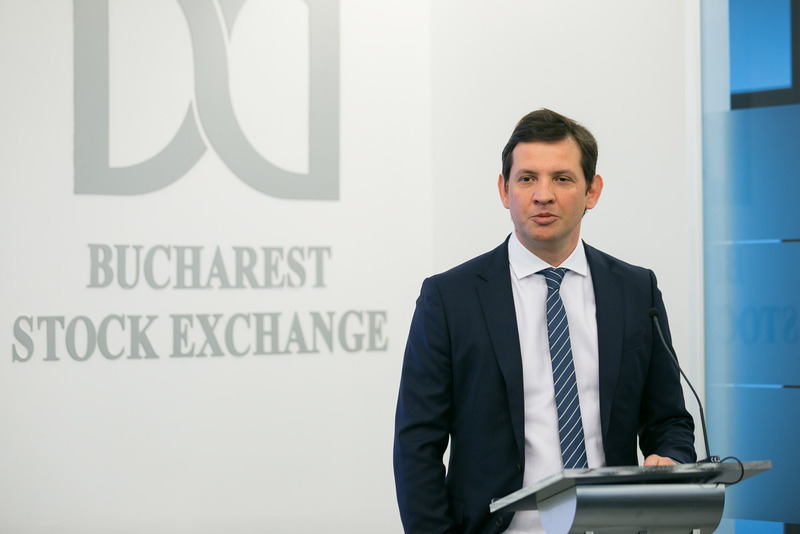 The new message we would like to pass on is that the stock exchange is the place where business transparency translates into money"
Bucharest Stock Exchange (BVB), the most important institution of the capital market, will keep on developing the infrastructure and the environment to reach its maximum potential so that Romania is promoted to the Emerging Market status as a consequence of these developments, Adrian Tanase said at the first press conference held as CEO of BVB. "The main goal of my term is to make the stock exchange reach its maximum potential in terms of turnover, and this can come from three directions. The first direction comes from listings, meaning from the increase in the number of listed companies. To have increased turnover, we must have listed companies and that is why this process is very important. Without new companies going public, whatever we do, as a trading platform, we have limited potential. The second dimension refers to market access for investors: any investor, Romanian or foreign, should be able to trade on our stock market. If there is an investor who cannot trade, then this limits the trading potential. Any barrier to trading on BVB must disappear. The third dimension, very important, is the opportunity to trade "investment ideas". We need a central counterparty clearing house (CCP), short-selling activity and the derivatives market. These are only a few examples that will contribute to the development of our stock market," said the CEO of BVB. "Promoting to the Emerging Market status will be a consequence of all these measures to increase turnover," Tanase stated. As far as the relationship with the entrepreneurs is concerned, the stock exchange will continue to develop this relationship, the project "Made in Romania" being extremely relevant in this respect. "The stock exchange is being advertised as a financing option. The new message we would like to pass on is that the stock exchange is the place where business transparency translates into money," Tanase also said. Financial education projects will continue in simplified language to reach as many people as possible. "It is important to increase financial literacy among population, and we need to simplify the message to retail investors. The population should be interested in the fact that the investment on the stock exchange may be as commonplace as a bank deposit if certain rules are respected, while also being aware that the money people accumulate from the day job can yield a higher return than a bank deposit," said the CEO of BVB. Adrian Tanase, 43, graduated in 1998 from the Faculty of Cybernetics of the Academy of Economic Studies in Bucharest. Tanase has a professional experience of almost 20 years in the capital market, focusing on portfolio management. 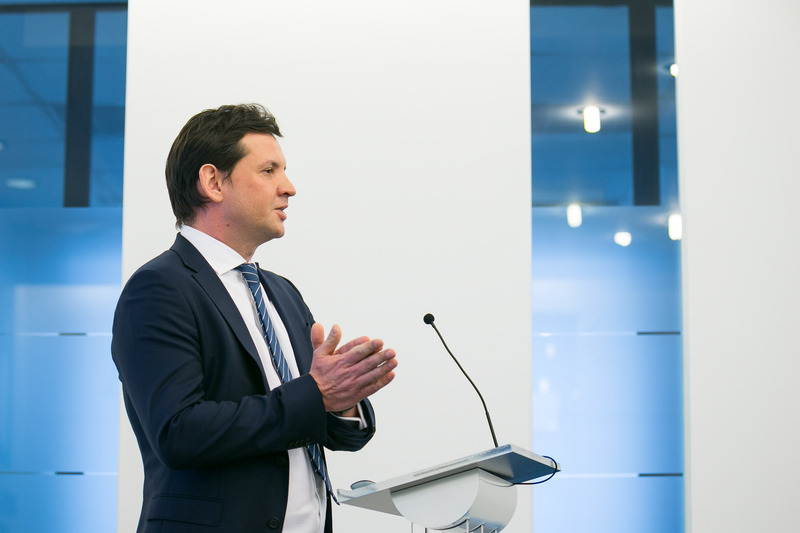 Prior to receiving the authorization from the local Financial Regulatory Authority on January 23, 2018, Tanase had acted as Chief Investment Officer at NN Pensii, the largest asset management company operating in Romania.